Our Hotel for 2015 ranking hight on TripAdvisor! You are here: Our Golf Tour » 2015 Tour » News » Our Hotel for 2015 ranking hight on TripAdvisor! Our humble abode for the 2015 tour,the Voyage Golf & Spa, has an excellent ranking on TripAdvisor. 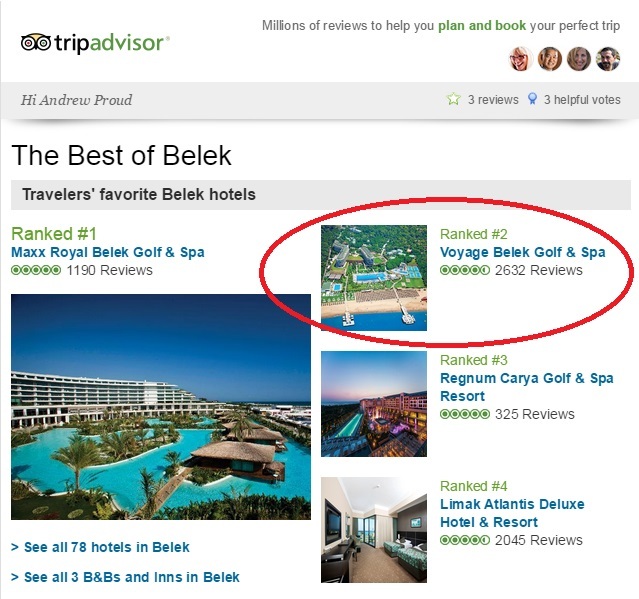 No.2 in Belek from 80 Hotels and the competition is not weak!